Dr. Ho graduated the medical school from Washington University. He did his internship at University of California San Diego and completed his residency program at Washington University. A fellowship followed at University of California San Diego soon after that. He is specialized in Radiology and board certified in Radiology. 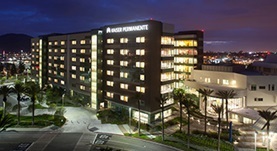 Dr. Ho has been in practice for more than 6 years and is affiliated with Kaiser Permanente Fontana Medical Center. During his career, he has also contributed to 1 publication of medical interest. Dr. Alexander Ho has contributed to 1 publications. Ho, A. S.,Ahmed, A.,Huang, J. S.,Menias, C. O.,Bhalla, S.; J Thorac Imaging. 2011 Mar 26.